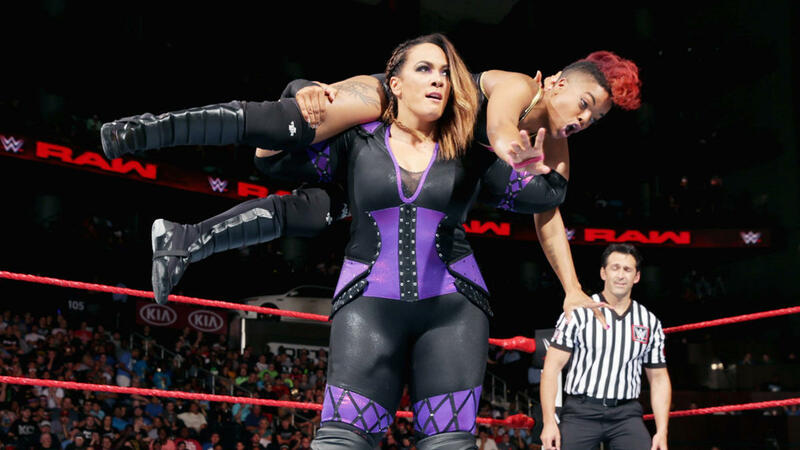 Nia Jax is the resident monster in the WWE Raw women’s division, but in a recent selfie posted to social media, she showed her vulnerable side, and she is now winning wide praise for it. Nia, real name Savelina Fanene, plays heel on WWE programming, but she was a total face when she showed followers what she looks like underneath the full body suit she wears as ring gear. Jax isn’t the size of a typical female wrestler. While weight measurements are hard to come by, she clearly dwarfs wrestlers like Sasha Banks and Bayley. In fact, it took both those fan favorites along with the more athletic Charlotte Flair to dispatch Nia Jax at WrestleMania 33. In a post to her own Instagram account on Thursday (April 6), Nia turned all fans’ previous understanding of her character on its collective head with a “body positive” moment that has so far amassed more than 43,000 likes and dozens of comments. “Posting a picture of myself in a bathing suit is VERY hard for me. I have never been one to show off too much skin, and it’s not just because I’m a larger woman,” she said, adding that WrestleMania weekend had her rethinking some things. If you have difficulty imagining “the monster” Nia Jax in tears, you probably won’t by the end of her post. She admits that she always had a strong family supporting her — one of whom is WWE Superstar Dwayne “The Rock” Johnson — and recalls a bit of helpful advice from her mother. “She constantly reminded me that ‘no matter how beautiful you are on the outside, if you’re [sic] insides are ugly, that will be what everyone sees [and] feels,” Jax said. WWE Superstars often step out of character on social media, and this is not the first time the villainous Nia Jax has done so. However, this is the first time she has shown real potential as a “face” within the WWE ranks, and she got there by standing on a message that many young women — and men, too, for that matter — need to hear. Adding fuel to the possibility of a Nia Jax face turn is this parting message she left with her fans in the rather lengthy post. “I love sending a message of self-confidence and getting to share that with people. Self-confidence also goes along with being healthy!” she states, adding that she often struggles between her desire to eat and her willingness to work out and make the right food choices. In the end, she states, “We aren’t meant to look the same, but we are all meant to be healthy. We are all beautiful in different ways. Staying healthy adds to beauty. Even more importantly, it will increase your self-confidence. That’s been my experience at least,” Jax said. Do the comments of Nia Jax change how you feel about the WWE Superstar? Sound off in the comments section below.